Fungi, commonly referred to as “mold” are a large, diverse group of organisms within the plant kingdom that generally derive their food through decomposition of organic and inorganic matter. Although we live along side many of these organisms, it is their unhindered growth inside of our dwellings and workplaces that provides us the greatest concern. In most cases, it is the abundance of water or water vapor that triggers the outbreak of mold, often seen as black or dark colored “spots” on walls and/or ceilings or detected by the signature “musty” smell often given off. 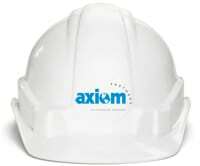 When identified, Axiom can assist you with determining and implementing proper corrective actions to eliminate the mold concerns. Proper techniques for removal of mold-contaminated materials is a critical step to eliminating the health issues often associated with excessive mold growth. Where corrective actions are necessary, we can provide testing to confirm the effectiveness of the mold abatement actions and suggest preventative measures to avoid future mold problems.